We recently completed an e-learning project for one of the largest and oldest pharmaceutical companies in the world. It has a presence in over 70 countries that includes a number of strategically located main offices. Those main offices are responsible for the management of teams in a particular region. Many of the workers are, therefore, remote. The company regularly delivers training to staff to enhance their abilities and improve performance but, as many of the people are remotely based, this is not cost-effective, particularly considering the cost of airline tickets. They tried a number of strategies to get around this, including bringing selected individuals to regional offices. Those individuals would be trained and would then be responsible for delivering the training to teams in the field. 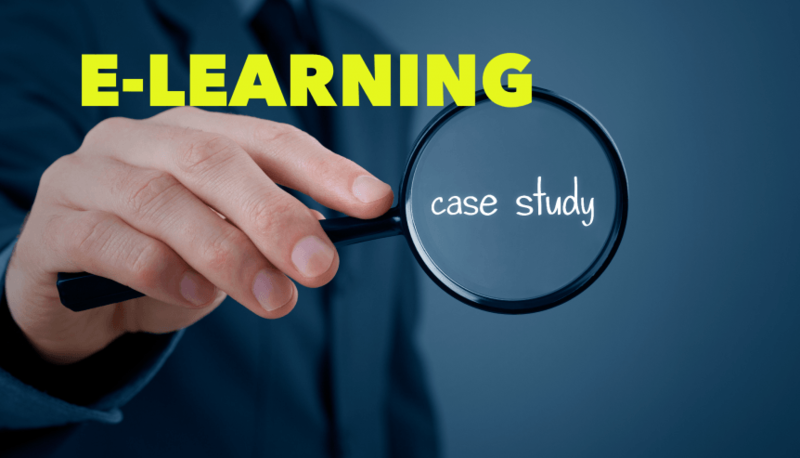 The quality of the learning experience for individuals throughout the organization varied greatly, however, and many people did not receive a lot of the key messages. E-learning was identified as the way forward, but their experience of it in the past also involved difficulties. This included problems that many organizations face using generic content created for a large user base, i.e. it is not sufficiently engaging or interactive so is not well received and does not deliver the best results. They also found it difficult to get good quality feedback from their e-learning courses to show whether or not the learning was successful. When looking for a new e-learning solution, they didn’t want another course that simply involved putting the key learning points in a module and then sharing that around the team. They wanted creativity, imagination, and an understanding of how people learn. Capytech’s solution involved creating a course for a specific learning project. The topic was dry and could be perceived as being heavy if presented in the wrong way. In addition, we had no direct experience of the pharmaceutical industry and only general knowledge of the specific topic being covered. None of these things were a barrier to the production of the modules, however, as our team worked closely with the client as well as carrying out independent research whenever required. To ensure each of the modules was engaging and fun as well as informative and educational, we used avatars and narration in addition to visual content. This created a more personal connection with the learner. The response from learners was overwhelmingly positive, with most saying they want future courses delivered in a similar format. One of the key reasons for this positive response is the course easily fits into the busy schedules and workloads of learners. It doesn’t disrupt their home or work lives in the same way that a trip to a regional office would, for example. In other words, they like being able to complete the training at their own convenience. Management were also happy with both the result and the process of getting there. We delivered the first draft quickly, for example, which gave a good starting point for future discussions and really got the project moving forward. Also, the quality of the first draft was very high which helped to settle the project and give reassurance to those involved that it was moving in the right direction. The level of communication was excellent too, and the constant feedback really helped. Also, they liked the way Capytech broke the project into multiple threads to make it more efficient.